you cant really go wrong here with these mud flaps... Inexpensive,flexible and strong... I will buy more for sure. Light but seems sturdy. Attached nicely to my Crud mk3 fender with Shoe Goo adhesive. Adds about four inches of coverage. Can you tell me the measurement at the top of the flap please. The measurement at the top of the flap is 50mm. Sorry, forgot to ask - is the 90mm width at the top or the bottom of the flap? The 90mm width is the widest point at the base of the flap. What materIal is it? And is it flexible? These are made from rubber and are flexible. 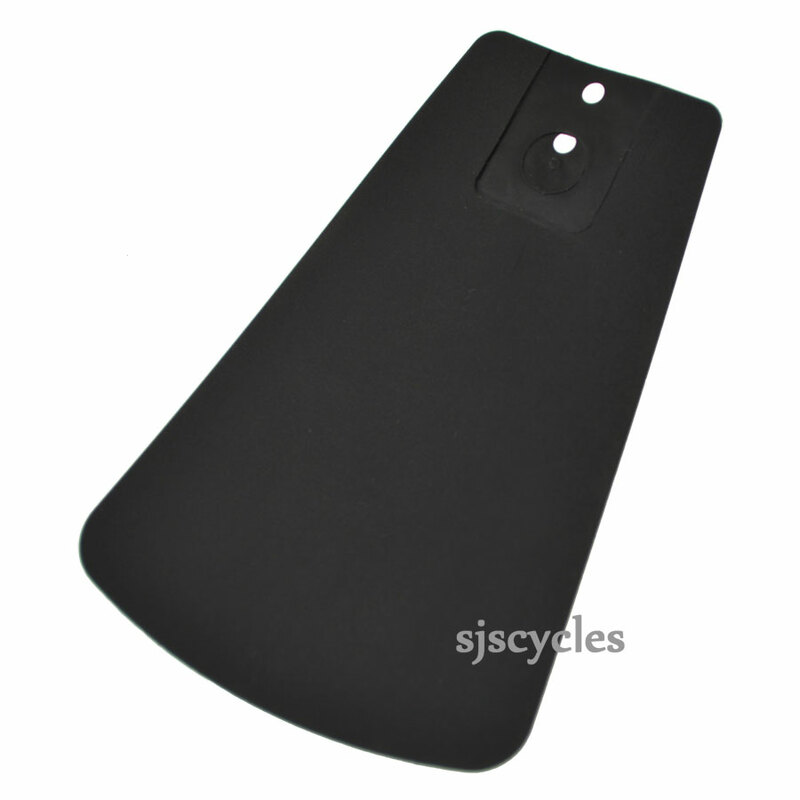 I'm looking for a better mudflap for a front SKS Chromoplastic 45mm, does this come with fixings or would it need riveting on? Unfortunately there are no fittings supplied with this mudflap so you'll need to find a way of attaching it like a rivet.